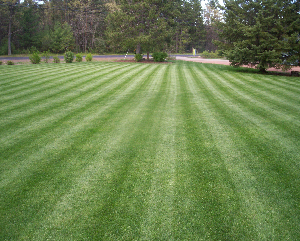 EMR Lawn and Landscaping Inc.
EMR started in 1983 as a one man operation providing only mowing services. At the time, EMR was the only commercial service company in the area. 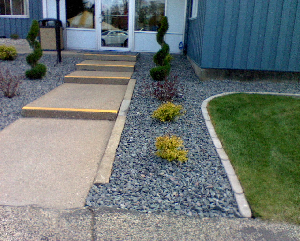 This initial service quickly expanded to include Spring and Fall clean-ups. 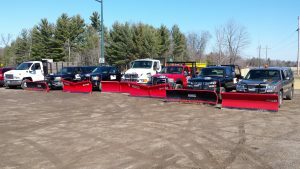 Within a year, snow removal (driveway, walks, and roofs) services were offered. By the start of the fourth season, lawn fertilization and landscape maintenance services were added. Now, 35 years later, EMR Lawn and Landscape Services, Inc. is a “full service” company offering virtually all services related to lawn and landscape. 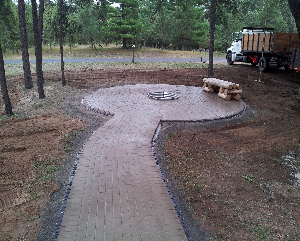 If you are building, we can provide installations of both your new lawn as well as your new landscape and hardscape. 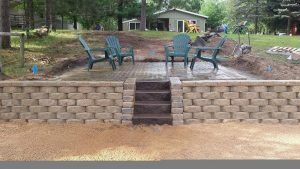 If your lawn or landscape needs updating, we can provide renovation of lawn areas, landscape areas or provide you with a complete redo of both. EMR can design a lawn care and fertilizing program to fit your needs and insure only properly trained and state certified applicators treat your yard. EMR offers a variety of services – to see a list click on Other Services. As with any business, starting from scratch was not easy. However, we have grown to the areas largest service provider due to an old fashioned idea – give the customer a better-than-average job for their money, and they will call back again. Every customer and account, whether large or small, is important to us. Our main goals are reliability and customer satisfaction. Every account will be treated with these goals in mind. You have probably seen us in your neighborhood, and we would enjoy the opportunity to work with you, just give us a call. We are fully insured and locally owned and operated. We are also licensed and certified by the state. See how easy it can be working with an experienced, professional company. Please CALL and leave us a detailed message. Copyright 2019 EMR Lawn and Landscaping Inc.